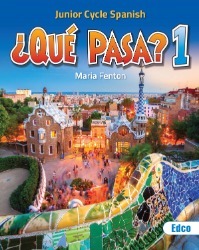 This is a one academic year licence for the e-book version of ¿Qué Pasa? 1. It has been developed to address the needs of today’s Spanish teachers and their students. If you are unsure whether or not your device meets the above minimum requirements please e-mail support@edcolearning.ie or phone 01-4299257 prior to purchasing. A single user licence entitles a user to be logged-on to either one of the above device types at any one time.